Virginia Aida wrote this post as a final project for Stacy Krueger-Hadfield’s Science Communication course at the University of Alabama at Birmingham. She is currently evaluating a potential pharmacotherapy in traumatic brain injury and anticipates graduating with her MS in summer 2017. 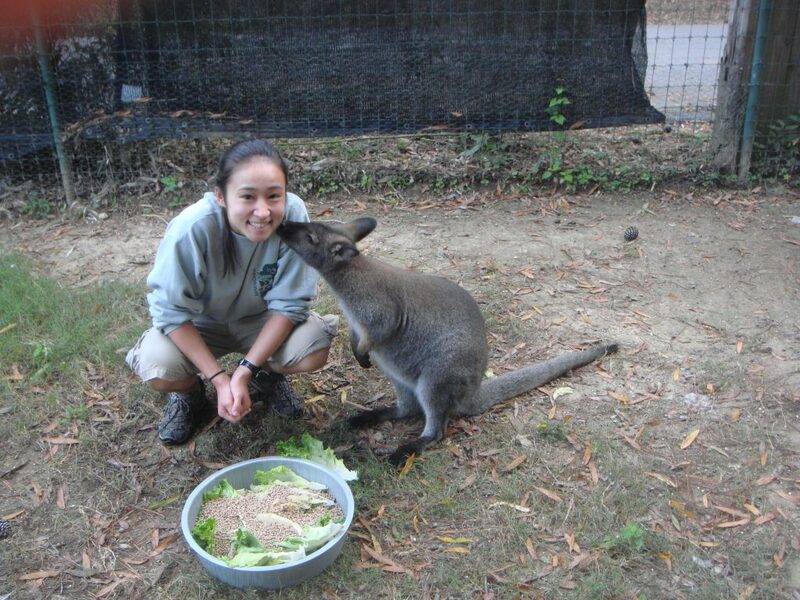 Although she thoroughly enjoys neurobiology, she aspires to pursue a career in conservation medicine. In the fall, she will be attending Auburn University’s College of Veterinary Medicine. 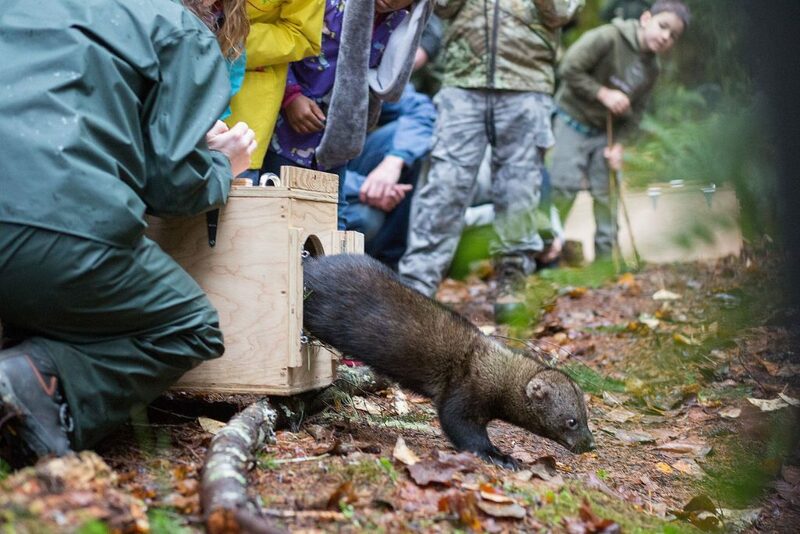 Zoos and wild animal parks work hard every day playing matchmaker for conservation efforts. However, there are other implications to consider when we propagate species in captivity. McDougall et al. (2005) argued that captive breeding may cause undesirable permanent shifts in animal temperaments, such as anti-predator responses (McPhee, 2004). Moreover, some animals develop a co-dependency on humans, rendering certain individuals or even a species as a whole incapable reintroduction. We know that the environment and genetics influence behavior. If we are already controlling the captive environment and choosing breeding pairs, why haven’t we avoided these undesirable behavior shifts? Perhaps, we should to take a molecular approach. Recent research suggests that analyzing the genetic architecture and genomic mechanisms underlying specific behavior repertoires, such as tameness, anxiety, and reproductive behaviors, may increase our understanding of animal behavior and have an added benefit of assisting in conservation measures. Nelson et al. (2017) spent three years selectively breeding silver foxes (Vulpes vulpes) and found particular behavioral responses upon human interaction. One strain exhibited domesticated behaviors and the other exhibited aggressive/non-domesticated behaviors towards humans. 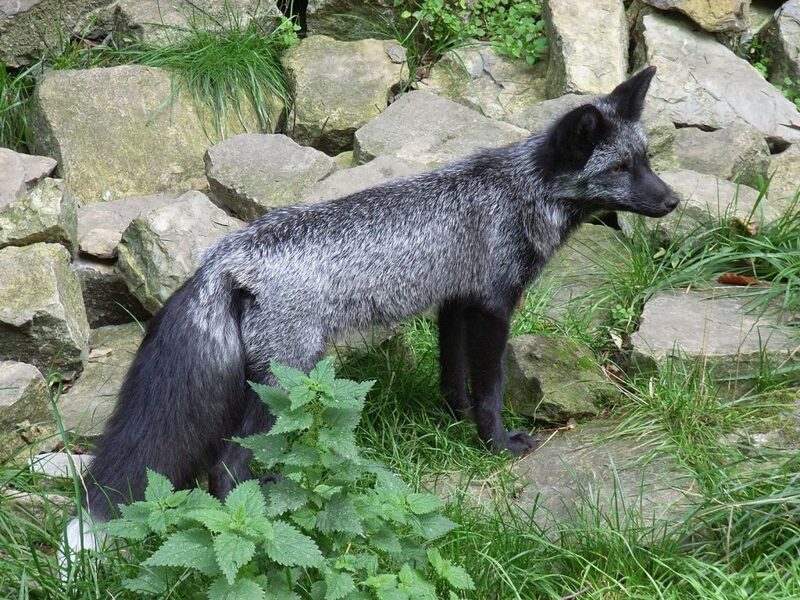 The team identified eight quantitative trait loci (QTL) involved in regulating the foxes’ behavior. Individuals carrying tame alleles had higher values of a tame phenotype versus the aggressive phenotype, suggesting a link between the mapped traits and fox tolerance to humans. Parker et al. (2016) investigated the genes with anxiety-like behavior using a genome-wide associated study in mice (GWAS). They identified a 4-gene locus that had significant association with the anxiety-like behavior in mice. Interestingly, one of the genes on this locus, Zmynd11, has copy number varients that have been associated with autsitic tendencies and aggressive behaviors in humans (Coe et al. 2014). If other species express the Zmynd11 gene with the same resulting phenotype, we could use this knowledge and enhance animal management, attenuate anxiety, and increase welfare in captivity. Nugent et al. 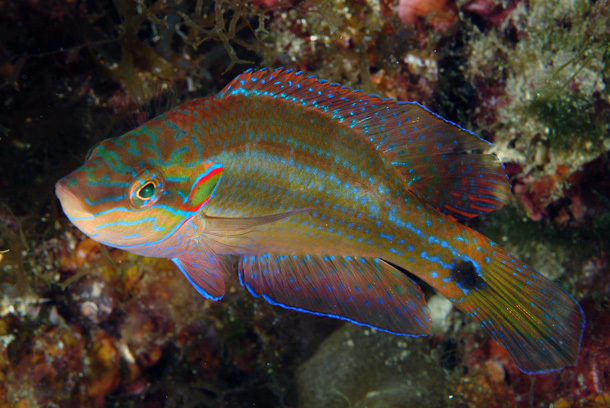 (2016) looked a layer deeper than QTL and investigated the neuroendocrine and genomic mechanisms responsible for the three mating behaviors in the male ocellated wrasse (Symphodus ocellatus). There are sneaker males, satellite males, and nesting males. Each male type displays discrete courting and mating behaviors. The authors looked at global gene expression patterns by constructing a whole-brain de-novo transcriptome among sexes and the three male morphs. They correlated the presence of 11-ketotestosterone (the equivalent to the role testosterone plays in the mammalian system) with the gene expression of region-specific hormone receptors in the brain. They found certain expression patterns were correlated with the varying phenotypes of the different male morphs. So, there was a difference in signaling and gene expression, both of which are critical for the social and sexual behavior in the different male morphs. There are other examples of interspecies male reproductive tactics throughout the animal kingdom in which some males display territoriality, while others do not. These strategies are still not fully understood and perhaps it’s possible that the different mating behavior can be correlated via genetic architecture and will illuminate more effective breeding strategies for captive species. Unfortunately, de novo transcriptomes of the brain can’t be sequenced without killing the animals sampled. So, this technique is not ideal for studying the molecular mechanisms behind behaviors in small, perhaps endangered, populations—but it’s a glimpse of what could be done one day! Although QTL mapping does not provide insight into the molecular neuroendocrine basis for behavior, this method could be more useful until de-novo transcriptomes are not terminal for the study subjects. Identifying QTLs could be another method in which conservationists strategically execute breeding and reintroduction programs particularly for those species that have historically failed at reintroductions. We could use the application of QTLs to identify phenotypes, such as foraging behaviors, fighting, or territoriality, that favor survival upon reintroduction into the wild. Understanding animal lineages would be important, but many zoos and conservation facilities already have these pedigrees. With collective efforts, developing QTL maps could be a very real method to aid conservation efforts. P.T McDougall, D. Reale, D.Sol, S.M. Reader (2005). Wildlife conservation and animal temperament: causes, and consequences of evolutionary change for captive, reintroduced, and wild populations. Animal Conservation. This entry was posted in adaptation, association genetics, bioinformatics, blogging, conservation, domestication, evolution, natural history and tagged behavior, conservation, QTLs, Reintroduction, scicomm, transcriptome, zoos. Bookmark the permalink.